The Welfare Indicators Act specifies that the annual welfare indicators reports shall include analyses of families and individuals receiving assistance under three means-tested benefit programs: the program of Aid to Families with Dependent Children (AFDC) under part A of title IV of the Social Security Act (replaced with the Temporary Assistance for Needy Families (TANF) program by the Personal Responsibility and Work Opportunity Reconciliation Act of 1996), the Food Stamp Program under the Food Stamp Act of 1997, and the Supplemental Security Income program under title XVI of the Social Security Act. This chapter includes information on the three programs, derived primarily from administrative data reported by state and federal agencies, instead of the national survey data presented in previous chapters. Discussion of each of the three individual programs is preceded, however, by an overview of several recent studies of caseload changes in the AFDC, Food Stamp, and SSI programs. Historically, caseload size has served as the preeminent indicator of welfare dependence. Given the anticipated growth in state-level program variations since enactment of the PRWORA, several recent studies have looked at caseload changes among states. A May 1997 report by the Council of Economic Advisers (CEA) attempted to determine the cause of the 20 percent decline in number of individuals receiving Aid to Families with Dependent Children from January 1993 and January 1997 by examining the impacts of three potential factors. The factors considered were economic growth, federal waivers which allowed states to experiment with innovative ways to reduce welfare dependence, and other policies affecting work-related incentives including expansions of the Earned Income Tax Credit (EITC) and increased state and federal spending on child care. The CEA attributed over 40 percent of the caseload decline to falling unemployment rates associated with economic growth. Their analysis also found that almost one-third of the decline resulted from statewide welfare reform waivers in six broad categories: termination time limits, work-requirement time limits, reduced work program exemptions, increased work program sanctions, caps on benefits to families that have additional children while on welfare, and increased earnings disregards. Other factors, which might include policies such as the EITC expansions, accounted for the remainder of the caseload decline. Another study, done by The Lewin Group, sought to improve understanding of state-level factors behind historical growth in AFDC caseloads by analyzing the relationship between state AFDC caseload growth and the strength and structure of the state economy, demographic trends, and changes in the structure of AFDC and other public assistance programs. Separately, Rebecca Blank investigated the determinants of aggregate public assistance (principally the AFDC program) caseload changes over time, by investigating the role of macroeconomic forces, public policies and demographic change. Methodological differences notwithstanding, all three efforts concluded that the effects of the economy on welfare caseload changes were substantial. Unemployment rates, wage levels and job growth were all determined to be important factors. These are critical findings for states as they prepare for the implications of economic recessions and recoveries under the TANF block grant. Welfare caseload reductions caused by economic factors are also the most likely to be reflected in commensurate movement along the continuum from dependence to self-sufficiency at the family level. Several other factors were also found to influence the size of welfare caseloads, including program parameters and operating rules. Benefit levels and eligibility criteria are significant determinants of caseload levels. In recent years, many states received waivers of federal requirements in order to experiment with policies that varied widely in scope. Many policies were designed to promote work, both through incentives for recipients (such as increased earnings disregards and expanded child care) and measures designed to strengthen enforcement of work requirements. Policies that reduced the number of exemptions from work requirements, increased sanctions or required work after a limited time period in exchange for benefits were adopted in a number of states. Interestingly, some of the estimated waiver effects on caseloads occurred even before the waiver was approved or implemented. The increased options available to state agencies in implementing the TANF program under the new welfare law highlight the role that policy forces play in effecting caseload changes. State responses to their increased flexibility to define eligibility are still evolving. It is clear, however, that these policy decisions will determine even how “cases” are defined for data reporting purposes. Concern about an increase of one million persons participating in the Food Stamp Program between the second quarters of fiscal years 1989 and 1990, a time with no major changes in the program or the economy, prompted Congress to ask the U.S. Department of Agriculture to conduct a study detailing the specific factors and trends responsible. While the program growth was widespread, the size and timing of the participation increases varied considerably by state, with three states accounting for nearly half the increase. The study concluded that no one factor could explain the increase, and that the importance of the three factors most responsible varied significantly from state to state. In some states, the expansions in Medicaid eligibility for pregnant women and children appeared to be a major contributor, although no clear regional pattern was evident. Increased unemployment was a key contributor in the northeast and north central states, while the changes in immigration laws, particularly the legalization of undocumented aliens (by the Immigration Reform and Control Act (IRCA) of 1986) were important in California and other southern and western states. Aside from specific factors attributed to discrete periods of dramatic caseload changes, a number of factors are associated with changes in Food Stamp Program participation. Economic factors such as increases in unemployment, increases in the number of “working poor,” increases in food prices, and changes in the distribution of income are important, as are demographic changes such as an increase in the number of female-headed households. Other factors include changes in the number of eligible households caused by immigration legislation, changes in the Food Stamp Program itself, and changes in other public assistance programs that bring more people into the public assistance system. Similarly, several factors have contributed to the growth of the Supplemental Security Income program. According to the General Accounting Office (GAO), three groups accounted for nearly 90 percent of the SSI program’s growth since 1991: adults with mental impairments, children and noncitizens. The GAO attributes caseload growth to several factors including: expansion in disability eligibility (particularly for mentally impaired adults and for children), increased outreach, immigration growth, and transfers from state programs. The remainder of this chapter presents brief descriptions of the AFDC/TANF, Food Stamp and SSI programs and highlights some of the recent legislative changes that will affect program participation and expenditures over time. (Effects from some of the Food Stamp Program changes, in particular, under PRWORA are already reflected in the data.) National caseload and expenditure trend information on each of the three programs is included, as well as state-by-state trend tables on each program and information on the characteristics of participants in each program. Aid to Families with Dependent Children (AFDC) was established by the Social Security Act of 1935 as a grant program to enable states to provide cash welfare payments for needy children who have been deprived of parental support or care because their father or mother is absent from the home, incapacitated, deceased, or unemployed. All 50 states, the District of Columbia, Guam, Puerto Rico, and the Virgin Islands operated an AFDC program. States defined “need,” set their own benefit levels, established (within federal limitations) income and resource limits, and administered the program or supervised its administration. States were entitled to unlimited federal funds for reimbursement of benefit payments, at “matching” rates which were inversely related to state per capita income. States were required to provide aid to all persons who were in classes eligible under federal law and whose income and resources were within state-set limits. AFDC enrollments and benefit outlays have generally increased in times of economic recession and declined in times of economic growth. Both caseloads and outlays rose to all-time high levels in fiscal year 1994. That year a monthly average of 14.2 million persons (9.6 million children) in 5 million families received benefits totaling $22.8 billion. AFDC participation then fell to 12.6 million persons in fiscal year 1996. Recent Legislative Changes. The Personal Responsibility and Work Opportunity Act of 1996 (PRWORA) eliminated the AFDC cash welfare and other related programs (AFDC administration, the Job Opportunities and Basic Skills Training (JOBS) program and the Emergency Assistance program) and created in their place a cash welfare block grant called Temporary Assistance for Needy Families (TANF). Its purpose is to increase state flexibility in providing assistance to needy families so that children can be cared for at home; end the dependence of needy parents on government benefits by promoting job preparation, work and marriage; prevent and reduce the incidence of out-of-wedlock pregnancies; and encourage the formation and maintenance of two-parent families. The implementation date for the TANF block grant was July 1, 1997, although states could, and most did, begin their block grant programs sooner. Spending through the TANF block grant is capped and funded at $16.4 billion per year, slightly above fiscal year 1995 federal expenditures for the four component programs. Each year between 1996 and 2002, the basic block grant provides each state with the highest of recent annual funding levels it received for the four constituent programs to operate welfare programs that stress work instead of government dependence. To receive each year’s full TANF block grant, a state must spend in the previous year on behalf of TANF-eligible families a sum equal to 75 percent of state funds used in fiscal year 1994 on the replaced programs (its “historic” level of welfare expenditures). If a state fails to meet work participation rates, its required “maintenance of effort” spending rises to 80 percent. To assist in recessions or other emergencies, states that maintain 100 percent of fiscal year 1994 AFDC-related spending are eligible to receive matching grants from a $2 billion contingency fund. The new law gives states wide latitude in developing innovative programs that will get families off welfare and into jobs. States set TANF eligibility standards and benefit levels. TANF block grant funds are guaranteed payments to states, but can be reduced if states fail to meet specified requirements such as meeting work participation requirements and ensuring that funds are spent on children and families. In addition, states are prohibited from using federal cash welfare block grant funds to: (1) provide cash or noncash TANF benefits to families in which an adult has already received assistance through the block grant for 5 years with an exemption of 20 percent of the caseload, (2) pay TANF benefits to noncitizens (including legal immigrants) arriving after the date of enactment (August 22, 1996) during their first 5 years in the United States1, and (3) pay benefits to parents who fail to participate in work or a state-designed welfare-to-work program after 24 months (or shorter at state option) of receiving cash welfare. The new law also gives states wide flexibility to combat out-of-wedlock births, which are related to increased welfare use and long-term dependence. They may deny or offer aid to two-parent families or to any group; however, if states offer TANF to unmarried teen parents they must require them to live at home or in another adult-supervised setting and attend school in order to be eligible for payments. Tables A-7 through A-13 present some state-by-state trend data on the AFDC program, plus provisional 1997 data that reflect the phasing out of AFDC and the phasing in of TANF. Table A-1 presents information on the average monthly number of AFDC families and recipients for each fiscal year since 1970 through Fiscal Year 1997. The U.S. caseload peaked at record highs in 1994, with an average 14.2 million recipients in over 5 million families receiving AFDC benefits each month. Since then the caseload has declined about 22 percent -- by a little over 1 million families and 3.2 million recipients. Preliminary data for the first several months of 1998 suggest that the caseload has continued to decline during the first year of TANF implementation falling as low as 8.4 million recipients in 3.0 million families in June 1998, as shown in Table A-10. (Because data on the demographic characteristics of the TANF caseload are not available, most of the other tables in this Appendix present data through June 1997). As shown on Table A-2, the average monthly benefit per recipient has continued the steady decline (in 1997 dollars) which began in 1988; recipients received an average 23 percent less in AFDC/TANF benefits (in 1997 dollars) in 1997 than in 1988. 3 Based on data for the first 9 months of the fiscal year. 1 The Personal Responsibility and Work Opportunity Reconciliation Act of 1996 repealed the AFDC program as of July 1, 1997 and replaced it with the Temporary Assistance to Needy Families (TANF) program. Note: Shaded areas are periods of recession. Effective July 1, 1981 families with incomes greater than 150 percent of a State's standard of need were no longer eligible for income assistance; this income cut-off was raised to 185 percent in 1984. Last data point plotted is June 1997 for U-P and Basic Families and March 1998 for Total Families. Note: For 1960-74 the average number of children per married-couple family is estimated based on all male-headed families of which during this period they comprised 98-99 percent. Source: U.S. Department of Health and Human Services, Administration for Children and Families, Office of Family Assistance, Quarterly Public Assistance Statistics, 1992-1993 and earlier years; U.S. Bureau of the Census, “Poverty in the United States: 1996," Current Population Reports, Series P60-198 and earlier years. 2 The maximum benefit for a 3-person family in each state is weighted by that state’s share of total AFDC families. 3 Estimated based on the weighted average benefit for a 4-person family. Note: AFDC benefit amounts have not been reduced by child support collections. Constant dollar adjustments to 1997 level were made using a CPI-U-X1 fiscal year price index. 1 The Personal Responsibility and Work Opportunity Reconciliation Act of 1996 repealed the AFDC program as of July 1, 1997 and replaced it with the Temporary Assistance to Needy Families (TANF) program. Spending categories not entirely equivalent. 4 Constant dollar adjustments to 1997 level were made using a CPI-U-X1 fiscal year price index. 5 Provisional data, subject to change. Note: Benefits do not include emergency assistance payments and have not been reduced by child support collections. Foster care payments are included from 1971 to 1980. Beginning in fiscal year 1984, the cost of certifying AFDC households for food stamps is shown in the food stamp program’s appropriation under the U.S. Department of Agriculture. Administrative costs include: Child Care administration, Work Program, ADP, FAMIS, Fraud Control, SAVE and other State and local administrative expenditures. Source: U.S. Department of Health and Human Services, Administration for Children and Families, Office of Program Systems. 1 Includes payments to two-parent families where one adult is incapacitated. 2 Total AFDC collections (including collections on behalf of foster care children) less payments to AFDC families. 3 Net AFDC benefits--Gross benefits less those reimbursed by child support collections. 4 Constant dollar adjustments to 1996 level were made using a CPI-U-XI fiscal year price index. Source: U.S. Department of Health and Human Services, Administration for Children and Families, Office of Financial Management. 1 Population numbers used as denominators are resident population. See Current Population Reports, Series P25-1106. 2 For poverty population data see Current Population Reports, Series P60-201. 3 The pretransfer poverty population used as denominator is the number of all persons in families with related children under 18 years of age whose income (cash income plus social insurance plus Social Security but before taxes and means-tested transfers) falls below the appropriate poverty threshold. See Appendix J, Table 20, 1992 Green Book; data for subsequent years are unpublished Congressional Budget Office tabulations. 4 Average for January through June of 1997. Source: U.S. Department of Health and Human Services, Administration for Children and Families, Office of Family Assistance and U.S. Bureau of the Census, “Poverty in the United States: 1996," Current Population Reports, Series P60-201 and earlier years, (Available online at http://www.census.gov/hhes/www/poverty.html). Source: U.S. Department of Health and Human Services, Administration for Children and Families, Characteristics and Financial Circumstances of AFDC Recipients: Fiscal Year 1996 and earlier years, (Current data available online at http://www.acf.dhhs.gov/programs/ofa/content.htm). 1 Percentages are based on the average monthly caseload during the year. Hawaii and the territories are not included in 1983. Data after 1986 include the territories and Hawaii. 3 For years after 1983, data are for adult female recipients. 4 States began collecting child support directly in 1975, removing one source of non-AFDC income. Source: U.S. Department of Health and Human Services, Administration for Children and Families, Office of Family Assistance, Characteristics and Financial Circumstances of AFDC Recipients: Fiscal Year 1996 and earlier years, (Current data available online at http://www.acf.dhhs.gov/programs/ofa/content.htm). Source: U.S. Department of Health and Human Services, Administration for Children and Families, Office of Program Support, Office of Management Services, unpublished data from the ACF-196 TANF Report and ACF-231 AFDC Line by Line Report. 1 Excludes IV-A child care. AFDC benefits include the Federal share of child support collections to be comparable to the Family LAssistance Grant; 1996 expenditures as reported through February 25, 1997. 2 Does not include additional funds authorized under P.L. 104-327. Source: U.S. Department of Health and Human Services, Administration for Children and Families, Office of Legislative Affairs and Budget. Source: U.S. Department of Health and Human Services, Administration for Children and Families, Office of Planning, Research and Evaluation, Time Trends, FY 1984-1995, and unpublished data. available only through June of 1997. Source: U.S. Department of Health and Human Services, Administration for Children and Families, Office of Planning, Research and Evaluation, unpublished data. Note: Recipiency rate refers to the average monthly number of AFDC child recipients in each State during the given fiscal year as a percent of the resident population under 18 years of age as of July 1 of that year. The numerators are from Table A-11. Sources: U. S. Department of Health and Human Services and U.S. Bureau of the Census, (Resident population by state available online at http://www.census.gov/population/estimates/state/). Note: Recipiency rate refers to the average monthly number of AFDC recipients in each State during the given fiscal year expressed as a percent of the total resident population as of July 1 of that year. The numerators are from Table A-9. The Food Stamp Program, administered by the U.S. Department of Agriculture’s (USDA) Food and Nutrition Service, is the largest food assistance program in the country, reaching more poor individuals over the course of a year than any other public assistance program. In fiscal year 1997, 22.9 million persons were served and $19.6 billion in benefits were distributed. Unlike many other public assistance programs, the Food Stamp Program has few categorical requirements for eligibility, such as the presence of children, elderly or disabled individuals in a household. As a result, the program offers assistance to a large and diverse population of needy persons, many of whom are not eligible for other forms of assistance. The Food Stamp Program was designed primarily to increase the food purchasing power of eligible low-income households to the point where they can buy a nutritionally adequate low-cost diet. Participating households are expected to be able to devote 30 percent of their counted monthly cash income to food purchases. Food stamp benefits then make up the difference between the household’s expected contribution to its food costs and an amount judged to be sufficient to buy an adequate low-cost diet. This amount, the maximum food stamp benefit level, is derived from USDA’s lowest-cost food plan (the Thrifty Food Plan (TFP)). The Federal government is responsible for virtually all of the rules that govern the program and, with limited variations these rules are nationally uniform, as are the benefit levels. Nonetheless, States, the District of Columbia, Guam, and the Virgin Islands, through their local welfare offices, have primary responsibility for the day-to-day administration of the program2. They determine eligibility, calculate benefits, and issue food stamp allotments. The Food Stamp Act provides 100 percent Federal funding of food stamp benefits. States and other jurisdictions have responsibility for about half the cost of state welfare agency administration. The Food Stamp Program has financial, employment/training-related and “categorical” tests for eligibility. The basic food stamp beneficiary unit is the “household.” Generally, individuals living together constitute a single food stamp household if they customarily purchase food and prepare meals in common. Members of the same household must apply together, and their income, expenses, and assets normally are aggregated in determining food stamp eligibility and benefits. Except for households composed entirely of AFDC, SSI, or general assistance recipients (who generally are automatically eligible for food stamps), monthly cash income is the primary food stamp eligibility determinant. Unless exempt, adult applicants for food stamps must register for work, typically with the welfare agency or a state employment service office. To maintain eligibility, they must accept a suitable job if offered one and fulfill any work, job search, or training requirements established by the administering welfare agencies. Food stamp benefits are a function of a household’s size, its net monthly income, and maximum monthly benefit levels. Allotments are not taxable and food stamp purchases may not be charged sales taxes. 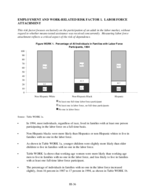 Receipt of food stamps does not affect eligibility for or benefits provided by other welfare programs, although some programs use food stamp participation use food stamps as a “trigger” for eligibility and others take into account the general availability of food stamps in deciding what level of benefits to provide. In fiscal year 1997, monthly benefits averaged $71 a person and about $178 a household. The size of the population eligible for food stamps is influenced by many factors, including changes in program rules (including immigration laws), changes in the economy, and demographics. Similarly, changes in the economy and changes in attitudes toward “welfare” affect the rate at which eligible individuals participate in the program and may also influence the average length of time spent in the program. Recent Legislative Changes. Subtitle A of title VIII of the PRWORA contains major and extensive revisions to the Food Stamp Program, including provisions designed to strengthen work and other nonfinancial eligibility requirements and control future spending increases. The impact on program participation and expenditures resulting from some of those provisions are reflected in preliminary 1997 data, while the effects of others will be observable over time. A new work requirement was added for able-bodied adult food stamp recipients without children. Unless exempt, no individual may be eligible for food stamps if, during the preceding 36-month period, the individual received food stamp benefits for any 3 months while not: (1) working at least 20 hours a week; (2) participating in and complying with a work program for at least 20 hours a week; or (3) participating in and complying with a workfare program. USDA was authorized to waive application of the work requirement to any group of individuals at the request of the state agency, if a determination is made that the area where they reside has an unemployment rate over 10 percent or does not have a sufficient number of jobs to provide them employment. The impacts were further moderated by provisions of the Balanced Budget Act of 1997 (Public Law 105-33). Separately, title IV of the act made significant changes in the eligibility of noncitizens for Food Stamp benefits. Most qualified aliens (including legal immigrants -- illegal aliens are already ineligible) were barred from Food Stamps until citizenship. Subsequently, the Agriculture Research, Extension and Education Reform Act of 1998 [PL 105-185] restored food stamp eligibility to certain groups of qualified aliens who were legally residing in the United States before passage of PRWORA (August 22, 1996). The ban was lifted for children, disabled and people who were 65 on August 22, 1996. Growth in future program expenditures was restrained by changes in the benefit structure for eligible participants, including a reduction in the maximum food stamp allotment. Other provisions of the act disqualify from eligibility those convicted of drug-related felonies and give states the option to disqualify individuals, both custodial and noncustodial parents, from food stamps when they do not cooperate with child support agencies or are in arrears in their child support. Tables A-17 through A-19 present some state-by-state trend data on the Food Stamp program through fiscal year 1996. Table A-14 presents information on the average monthly number of food stamp recipients for each fiscal year since 1970 through Fiscal Year 1997. The health of the economy has historically been a good predictor of the number of participants in the Food Stamp Program. Food stamp participation (excluding Puerto Rico) has continued to fall from its peak in of 28 million in March 1994 to an average of 22.9 million persons in 1997, reaching their lowest point since 1990.3 As shown in Table A-15, total program costs have also declined, reaching their lowest levels since 1990, after adjusting for inflation. Total program costs (including Puerto Rico) were $25.6 billion in Fiscal Year 1996 and declined by 11 percent in 1997 to $22.8 billion. The average monthly benefit per person has also declined and, after adjusting for inflation, is at the same level paid in 1981. 1 Total participants includes all participating States, the District of Columbia, and the territories. The number of child participants includes only the participating States and D.C. (the territories are not included). From 1970 to 1974 the number of participants includes the family food assistance program (FFAP) which was largely replaced by the Food Stamp program in 1975. The FFAP participants for these five years were: 3,977; 3,642; 3,002; 2,441; and 1,406 (all in thousands). The monthly average number of participants for all fiscal years (including 1970-76) is computed as an average from October of the prior calender year to September of the current year. 2 Includes all participating States and the District of Columbia only--the territories are excluded from both numerator and denominator. Population numbers used as denominators are the resident population—see Current Population Reports, Series P25-1106. For the persons living in poverty used as denominators, see Current Population Reports, Series P60-201. 6 Participation figures in column 1 from 1982 on include enrollment in Puerto Rico’s Nutrition Assistance Program (averaging 1.4 to 1.5 million persons a month under the nutrition assistance grant and higher figures in earlier years under Food Stamps). Sources: U.S. Department of Agriculture, Food and Nutrition Service, National Data Bank, the 1996 Green Book, and U.S. Bureau of the Census,“Poverty in the United States: 1997," Current Population Reports, Series P60-201 and earlier years. 1 All Federal administrative costs of the Food Stamp Program and Puerto Rico's block grant are included: Federal matching for the various administrative and employment and training expenses of States and other jurisdictions, and direct Federal administrative costs. Beginning in 1984 the administrative cost of certifying AFDC households for food stamps are shown in the food stamp appropriation. Figures for Federal administrative costs beginning with fiscal year 1989 include only those paid out of the Food Stamp appropriation and the Food Stamp portion of the general appropriation for food program administration. Figures for earlier years include estimates of food stamp related Federal administrative expenses paid out of other Agriculture Department accounts. State and local costs are estimated based on the known Federal shares and represent an estimate of all administrative expenses of participating States (including Puerto Rico). 2 All benefit costs associated with the Food Stamp Program and Puerto Rico's block grant are included. The benefit amounts shown in the table reflect small downward adjustments for overpayments collected from recipients and, beginning in 1989, issued but unredeemed benefits. Over time, the figures reflect both changes in benefit levels and numbers of recipients. 3 Constant dollar adjustments to 1997 level were made using the CPI-U-X1 price index. 4 From 1970 to 1974 total Federal cost includes the cost of the family food assistance program (FFAP) which was largely replaced by the Food Stamp program in 1975. The FFAP amounts for these years were: $289, $321, $312, $255, and $205 (in millions). 9 Includes funding for Puerto Rico's nutrition assistance grant; earlier years include funding for Puerto Rico under the regular food stamp program. Average benefit figures do not reflect the lower benefits in Puerto Rico under its nutrition assistance program. Sources: Budget documents of the U.S. Department Agriculture, Food and Nutrition Service and the 1996 Green Book . Source: U.S. Department of Agriculture, Food and Nutrition Service, Office of Analysis and Evaluation, Characteristics of Food Stamp Households: Fiscal Year 1996 and earlier years. The percentage of food stamp households with earnings has stayed in a range of 18 to 23 percent, with an average over the years of 20 percent. Correspondingly, the percentage with gross monthly income below the poverty level has ranged from a low of 87 percent in 1980 to a high of 95 percent in the recession year 1982. During the 1990s, it has stayed almost constant at around 92 percent. The percentage of households receiving food stamps with children has also been fairly constant at a little over 60 percent. The percentage of food stamp households with public assistance income has ranged from a low of 65 percent in 1980 to a high of 73 percent in the recession year 1990. 1 Survey was conducted in August in the years 1980-84 and during the summer in the years from 1986 to the present. 3 In 1996 female heads of household with children whose spouse is present comprised about 7 percent of all female heads of household with children. 4 Elderly members and heads of household include those age 60 or older. Source: U.S. Department of Agriculture, Food and Nutrition Service, Office of Analysis and Evaluation, Characteristics of Food Stamp Households, Fiscal Year 1996 and earlier years. 1 Totals include small amounts not allocated to individual states: $6 million in 1977, $26 million in 1985, and $4 million in 1992. The Supplemental Security Income (SSI) Program is a means tested, federally administered income assistance program authorized by title XVI of the Social Security Act. Established in 1972 (Public Law 92-603) and begun in 1974, SSI provides monthly cash payments in accordance with uniform, nationwide eligibility requirements to needy aged, blind and disabled persons. To qualify for SSI payments, a person must satisfy the program criteria for age, blindness or disability. Children may qualify for SSI if they are under age 18, unmarried, and meet the applicable SSI disability or blindness, income and resource requirements. Individuals and couples are eligible for SSI if their countable incomes fall below the Federal maximum monthly SSI benefit levels, which were $484 for an individual and $726 for a couple in fiscal year 1997. SSI eligibility is restricted to qualified persons who have countable resources/assets of not more than $2,000, or $3,000 for a couple. SSI law requires that SSI applicants file for all other money benefits for which they may be entitled. Since its inception, SSI has been viewed as the “program of last resort”-- after evaluating all other income, SSI pays what is necessary to bring an individual to the statutorily prescribed income “floor.” (The Social Security Administration, which administers the SSI program, works with recipients and helps them get any other benefits for which they are eligible.) As of December 1996, 37 percent of all SSI recipients also received Social Security benefits; Social Security benefits are the single highest source of income for SSI recipients. Recent Legislative Changes. Several legislative changes made in the 104th Congress are likely to affect Supplemental Security Income (SSI) participation and expenditures. Public Law 104-121, the Contract with America Advancement Act of 1996, prohibits SSI eligibility to individuals whose drug addiction and/or alcoholism (DAA) is a contributing factor material to the finding of disability. This provision applied to individuals who filed for benefits on or after the date of enactment (March 29, 1996) and to individuals whose claims were finally adjudicated on or after the date of enactment. It applied to current beneficiaries on January 1, 1997. Tables A-24 through A-26 present some state-by-state trend data on the SSI program through fiscal year 1996. Table A-20 presents information on the number of persons receiving SSI payments in December of each year from 1974 through 1997. Data on the total number of SSI recipients are shown, as well as recipients by eligibility category (aged, blind and disabled) and by type of recipient (child, adult age 18-64, and adult age 65 or older). From 1990 to 1994, growth in the total number of beneficiaries averaged 370 thousand per year, almost 6.5 percent per year. The increase slowed in 1995 and 1996, with the number of recipients peaking at 6.6 million beneficiaries in December 1996. In 1997 growth stopped and the number of recipients declined slightly, to 6.5 million in December 1997. Recent trends in the changing composition of the SSI caseload continued through 1997, as shown in Table A-22. The number of aged beneficiaries continued to decline, both as an absolute number (from a high of 2.3 million persons in December 1975 to less than 1.4 million in December 1997) and as a proportion of the SSI caseload. The number of aged, as a percentage of all SSI participants, has dropped steadily, from 60.6 percent in December 1974 to 31.6 percent in December 1997. This relative decline is a result of very little change in the number of aged participants between December 1990 and December 1997 while the number of persons 18 to 64 receiving benefits grew by 45 percent during the same time period. Moreover, the number of children increased by 177 percent, from 340 thousand to 943 thousand, bringing them from 7 percent of the SSI caseload in 1990 to 15 percent in 1997. Many analysts attribute this growth to outreach activities, the Supreme Court decision in the Zebley case4, expansion of the medical impairment category, and reduction in reviews of continuing eligibility. 1 Includes students 18-21; there were 50,661 students 18-21 in December 1997. Source: Social Security Administration, Office of SSI, and Office of Budget, Social Security Bulletin, Annual Statistical Supplement, 1998 (available online at http://www.ssa.gov/statistics/ores_home.html). Note: The numerators for these averages are given in Table A-21. Averages were computed by DHHS. Data adjusted for inflation using the monthly values of the CPI-U-X1 index. Source: Number of persons receiving payments obtained from Social Security Administration, Office of SSI, and Office of Budget. 1 Population numbers used for the denominators are Census resident population estimates adjusted to the December date by averaging the July 1 population of the current year with the July 1 population of the following year; see Current Population Reports, Series P25-1106. 2 For the number of persons (65 years of age and older living in poverty) used as the denominator, see Current Population Reports, Series P60-198. Source: 1994 Green Book and U.S. Bureau of the Census, “Poverty in the United States: 1996," Current Population Reports, Series P60-198, and earlier years, (Available online at http://www.census.gov/hhes/www/poverty.html). The proportion of persons receiving SSI who are 65 years of age or older (as a percent of all SSI recipients) has decreased steadily from a high of 61 percent in 1974 to a low of 32 percent in 1997 essentially cutting the proportion of elderly recipients in half. The actual number who are 65 or older has declined from 2.5 million in 1975 to a little less than 2.1 million today. The percentage of child recipients increased two and one half times during the 1970s, going from 2 percent in 1974 to 5 percent by the end of the decade. During the 1980s, it remained fairly constant at about 6 percent. In the 1990s, the share of child recipients increased rapidly, more than doubling to 15 percent. The percentage of persons receiving SSI between the ages of 18 and 64 has increased steadily over time, rising from 38 percent in 1974 to 54 percent in 1997. Source: U.S. Bureau of the Census, “Money Income in the United States: 1995," Current Population Reports, Series P60-193 and earlier years. 1 Includes $463,000 for unknown States. Federal SSI includes $643,000 for unknown States. 2 The sum of federally administered State supplementation payments exceeds the total by $214,000. This represents refunds of State payments that had not yet been credited to States. 4 Represents recovered State payments. Administration changed from Federal to State: Maine in April 1996, Wisconsin in January 1996. Source: Social Security Administration, Office of Research, Evaluation, and Statistics, Social Security Bulletin, Annual Statistical Supplement, 1998. Note: Recipiency rates are the ratios of the number of SSI recipients (in the respective age groups) as of the month of December to the population in the respective age group as of the the month of July; calculations by DHHS. 1 The number of SSI recipients used to calculate the total recipiency rate includes a certain number of recipients whose State is unknown. For 1975, 1985, 1990, and 1992,, the numbers of unknown (in thousands) were 256, 14, 0, and 71 respectively. 2 For 1975-92 the percentages are calculated as the average number of monthly SSI recipients over the total population of each State in July of that year. For 1994-1997 the number of recipients is from the month of December; calculations by DHHS. 1 States also have the option of continuing TANF benefits for immigrants who arrived before the bill’s enactment. Only Alabama, Mississippi and South Carolina have indicated that they will not be continuing benefits for these aliens. 2 Alternative programs are offered in Puerto Rico, the Northern Mariana Islands, and American Samoa. 3 Some of the decline in food stamp participation can be attributed to eligibility changes made in the 1996 welfare law, most notably the elimination of eligibility for most legal immigrants and for many childless adults aged 18-50. By April 1, 1997, many states began removing legal immigrants who were receiving food stamps on August 22, 1996. Most states removed at least a portion of the childless 18-50 year olds on or around March 1, 1997. 4 On February 20, 1990, the Supreme Court ruled that the individual functional assessment (or a residual functional capacity assessment) applied to adults whose condition did not meet or equal a listing of medical impairments to determine eligibility should also be applied to children whose condition did not meet or equal the medical listing of impairments. A GAO study estimated that 87,000 children were added to the SSI caseload after the individual functional assessments for children were initiated.